Brings Gamers Ultimate Cool and Fast Gaming Experience! 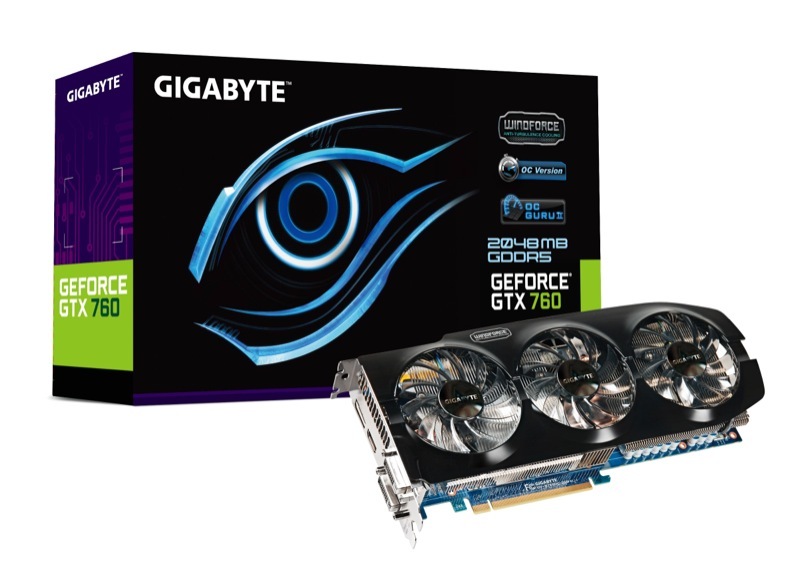 Taipei, Taiwan, 25th June 2013 – GIGABYTE, the leading manufacturer of motherboards and graphics cards, is pleased to announce GeForce GTX 760 Overclock Edition Graphics Card (GV-N760OC-2GD). Based on the NVIDIA GeForce® GTX 760 GPU, with 1,152 CUDA cores, 2 GB high-speed GDDR5 memory and 256-bit memory interface, GIGABYTE GV-N760OC-2GD guarantees gamers a fast, smooth and quiet gaming experience. GV-N760OC-2GD is equipped with exclusive WINDFORCE 3X with patented “Triangle Cool” Technology. The powerful airflow and heat dissipation capability keeps the card cool and with the best performance. GV-N760OC-2GD is well overclocked. The core clock runs up to 1150MHz (boost clock), 10.6% much better than the default settings. It supports today’s most advanced gaming technologies with features like DirectX® 11, NVIDIA® PhysX® and TXAA™, providing PC gamers a new weapon of choice. WINDFORCE 3X cooling system plus patented “Triangle Cool”, vastly cooler and quieter! GV-N760OC-2GD features GIGABYTE exclusive WINDFORCE 3X cooling technology. It is designed with triple inclined fans, direct touch heat-pipes and innovative patented “Triangle Cool” technology. 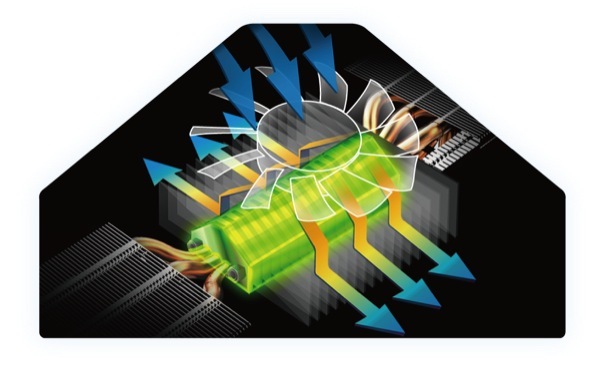 The combination of anti-turbulence inclined fans and pure copper heat pipes helps to reduce excessive heat and minimizes the flow of turbulence between fans. Supports with GPU Boost 2.0 technology, GV-N760OC-2GD with WINDFORCE 3X can thus work at lower speeds, offering a vastly cooler, quieter and stable gaming performance. According to the latest NVIDIA® technology, GPU BOOST 2.0, GV-N760OC-2GD provides gamers an unlimited overclocking capability. By using GIGABYTE exclusive OC GURU II, gamers can monitor and adjust all important settings such as GPU clock, memory clock, fan speed, voltage, power target and online support. With the upgrade and easy-to-control user interface, GIGABYTE OC GURU II becomes the best mate while using GV-N760OC-2GD.